Property on the coast is not only an excellent investment but also a great place for secluded relaxation. Today the Russians still demand the house on the Black sea, and therefore their purchase always involves some risk. To begin, select the location of your future home. Maybe you want to have a stable income and to rent out their property to vacationers visitors. In the summer Crimea lives and want to rent a big or small house very much. Then choose the structure on the coast. Look at the map. On the coast of the Azov and Black seas are beautifully warm city: Sevastopol, Evpatoria, Yalta, Sudak, Kerch, Feodosia. Property for summer vacation it is necessary to choose out there or in the nearby suburbs or towns. Of course, the determining factor is the proximity of the sea. Your purchase will be more expensive than places closer to the water. When you rent a house in the Crimea will pay off pretty quickly. If you buy a house for yourself and the proximity of the pond is not fundamental, then find the options in the Peninsula. For example, in the district of Simferopol and Bakhchisaray. A trip to the Crimea with the purpose of the purchase requires training. It is necessary to be informed, to have a clear plan. It is impossible to act spontaneously, because it is easy to encounter unprofessional intermediaries. There, as elsewhere, there are agencies-phony, inadequate sellers-owners. At best You will lose time and nerves; at worst the money to buy. So work only with reliable real estate agencies. Before to go to the Crimea, to buy a house, you have to gather information, make a list of reliable real estate agencies of Crimea, read the forums, the reviews, form an opinion about the reputation of a particular Agency. With this information you can go to the Crimea to continue the search. On arrival in the Crimea proceed to search for real estate with the help of the local media. They, like the Internet, provide relevant and reliable information. In person there is the opportunity to go and inspect the proposed sites, meet with realtors, owners and select purchase. To check the title you will, again, only on site and not remotely. If you are not an expert on real estate and the way people in Crimea don't have, without an agent can not do. But it must be borne in mind. First, you must know what kind of house you want and for what money. Second, hired the agent you want to talk in detail about their preferences, so he gathered and provided much information. When you decide to buy, demand that the documents of title and, after reviewing them, give a Deposit. Prepare for the transaction and calculations that you will make a deal and pass the procedure of state registration of rights of ownership (very similar to Russian except for the fact that you will be asked to prove citizenship, and this may require additional help from the police of the Russian Federation). Keep in mind. In some areas of Crimea are sometimes noticed slightly elevated levels of radiation, and therefore to live and relax there is a health hazard. So be sure when inspecting the house armed with a dosimeter. Check the surrounding land and every corner of the house. Crimea now enjoys great popularity not only from the point of view of tourism, but also the purchase of real estate. Many Russians are seriously thinking about to move there for permanent residence. After Crimea returned to Russia, interest in the Peninsula by the Russians has increased significantly. Some go to the Crimea for rest, and others think seriously about how to purchase property here. Before buying a property, be sure what it was for. 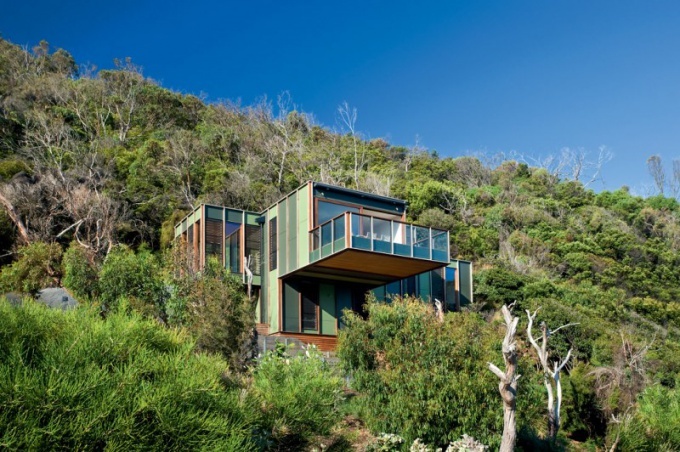 If for temporary accommodation during a vacation is one thing. When the apartment or house purchased for permanent residence, the process should be approached more carefully. As many of Crimea is considered from the point of view of the ability to live at sea, when choosing an apartment you should pay attention to the coastal cities. Good conditions in Yalta, Purpose, Partenit, Yalta, Sevastopol, Alushta, Feodosia. While in Yalta, a lot of new buildings that are waiting for their master. This option is perfect for residents of the capital and other cities of Russia. If you have decided to buy a cottage, there are whole areas where built cottage villages. 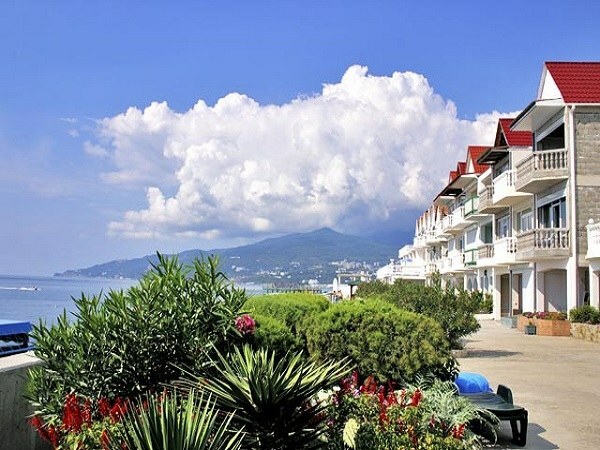 A nice option is the area of greater Yalta. Also a lot of nice villages between Yevpatoria and Sevastopol. For those who decided to buy an apartment, it's best to buy a flat in a new building. In the Crimea is well developed, the practice of delivery of apartments "turnkey", when the new owner moves in and immediately settled in, arranging furniture. If you decide to participate in the design of future housing, is provided and the opportunity. The process of registration of the contract of sale is no different from those practiced in other Russian cities. But here we must be careful, because the locals have not been able to fully adjust to a new way of life. Still, decades of life under the Ukrainian flag has left its mark, and some law firms working in the old way. Already, some of the company capital, as businesses from other cities are willing to offer their services to find real estate in the Crimea with the subsequent registration of the documents. They were able to quickly navigate. Before you make a choice, best to go to a trial train on the Peninsula in order to look at existing proposals. It often happens that the house in which the apartment, the picture looks great around greenery, near the sea, dominated by the beautiful colors and purity. When man arrives on the scene, he sees a very different picture. In addition, during the study tour, you can choose the city of your dreams, where you want everything. You'll make the right choice and the question of area of residence.